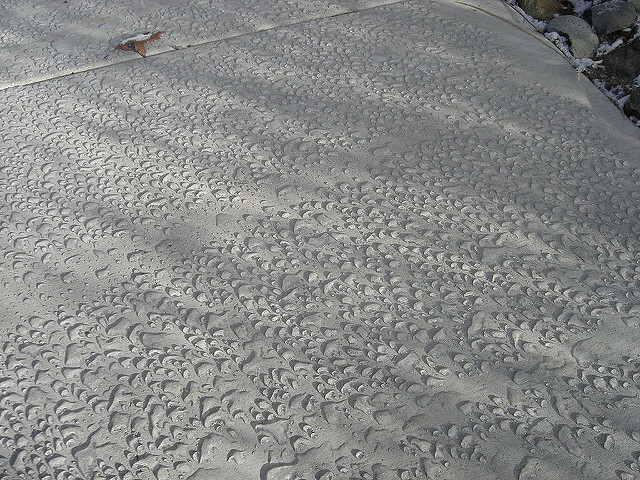 Concrete Sealer, Why Seal Concrete? The reason your concrete is ugly (or soon will be) is because you haven’t had it sealed in years probably since it was installed…right? Go ahead, pour some water on it – what do you see? 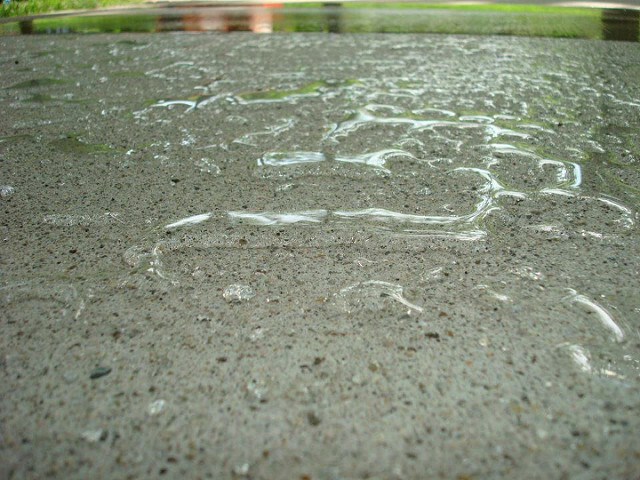 If your concrete darkens-up and absorbs water like a “big hard sponge” then it is UNSEALED and open for damage. Our Concrete Sealer was trusted on the oldest street in America. You’re just asking for trouble if you’re letting water & everything else soak right down into your concrete. Did you know that water expands up to 9% when it freezes? That’s why it will pit, pop, crack, and flake off! 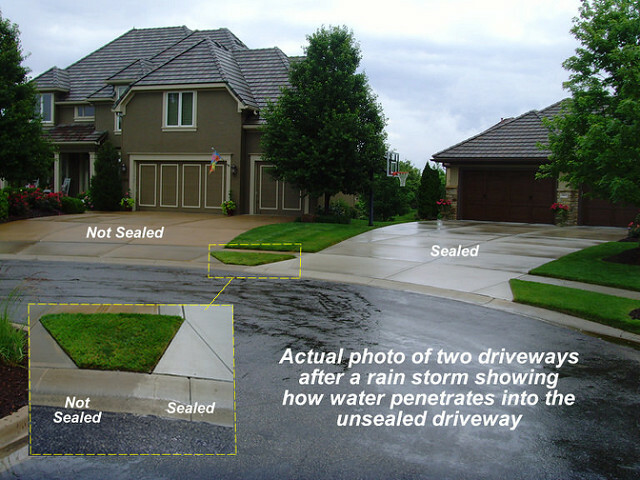 The CP Hydrophobic Sealer will protect your concrete surfaces from the effects of exposure that cause the damage: severe conditions like rainwater, repeated melting and freezing, and road salts, or de-icers. The Concrete Protector will seal the surface, and infiltrate the pores of the concrete, keeping these conditions from further damaging your concrete. 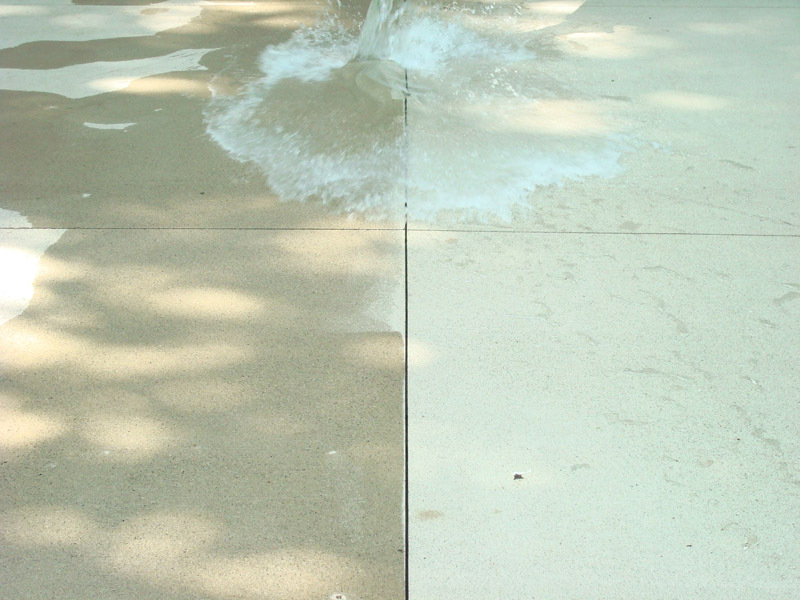 The CP Hydrophobic Sealer also provides a concrete and masonry washing and sealing service. We have developed a product that will eliminate many concrete problems, but will not change the appearance or the texture of the surface. It also will not discolor the concrete, or cause it to be slippery. The Concrete Protector makes concrete easier to clean, is salt, UV, and stain resistant, and environmentally responsible. For more information or to schedule a free estimate contact us.